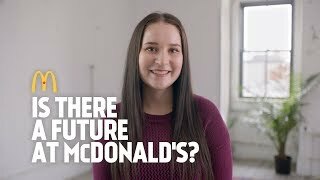 Today, McDonalds Canada is proud to be one of the worlds leading foodservice retailers.Were hardworking small-business men and women, students working part-time, seniors getting the most out of life, and volunteers lending time to make a difference in the communities we live and work in. We all looking for full-time and part -timeCrew to start right away. Whether it's 1 shift or 5 shifts a week you are available, we want to hear from you. Apply in-store by asking for a Manager!